Robert was the son of Joseph and Ellen Cander. Robert was born at Clare, Kildress, Cookstown about 1874. Incomplete GRONI records suggest he was born either on 3rd June 1872 or more likely, on 28th November 1873. In 1888 the family moved to Scotland, when Robert was 14. At the age of 19 he was working in the coal mines. However, Robert had to stop working in the mines because of health issues in relation to his breathing problems. Robert married Catherine McGrath in 1900 in Scotland. They had seven children. Sadly, their first and only boy died shortly after birth. Family 2: Robert Cander, Catherine McGrath Cander, Ellen Cander (born about 1903), Kate Cander (born about 1905), Annie Cander (born 7th July 1907), Mary Cander (born about 1910), Jean Cander (born about 1913), Ruby Cander (born about 1915). Robert enlisted in Hamilton in Scotland. 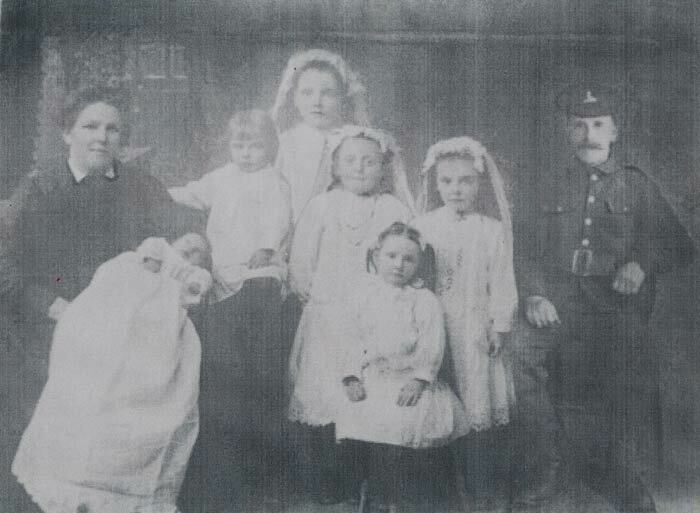 From the photo above of Robert with his children, it can be presumed that he had previously served in the army. 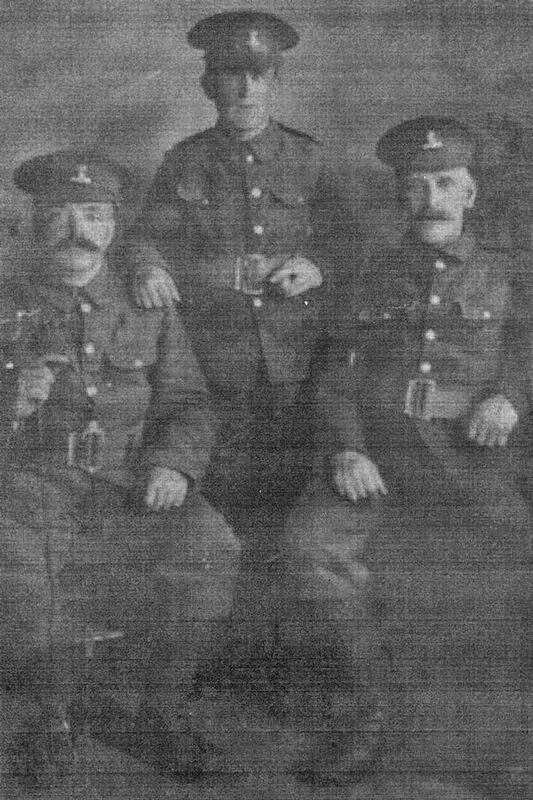 Private Robert Cander was serving with the 1st Battalion of the Royal Dublin Fusiliers when he was killed in action on the first day of the Battle of the Somme on Saturday 1st July 1916. 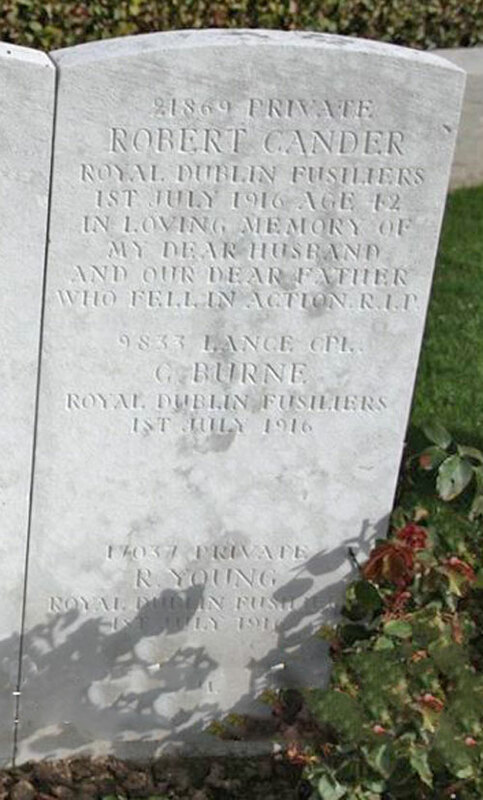 The 1st Battalion of the Royal Dublin Fusiliers on the 1st July 1916, was part of the same 29th Division from Gallipoli which was in a sector right beside the 36th (Ulster) Division. The 1st Dublins faced the Hawthorn Ridge at Beaumont Hamel. 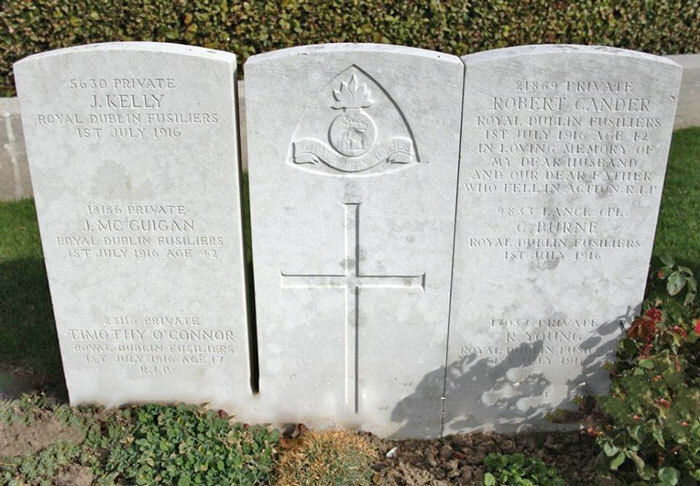 Private Robert Cander is buried in Auchonvillers Military Cemetery, France. 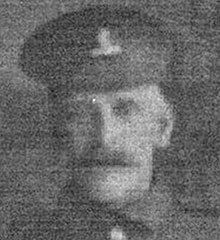 The CWGC also record Private Cander as the husband of Catherine McGrath Cander. He is described as being a native of Cookstown, County Tyrone.